Modest Mouse is of significant importance to the indie rock scene of the Pacific Northwest. Isaac Brock, Eric Judy, and Jeremiah Green helped guide Modest Mouse through its early years, with Isaac Brock's unique vocal style - sometimes screaming, sometimes crooning softly, but always satisfying - leading the way. With early records like This Is A Long Drive For Someone With Nothing To Think About and The Lonesome Crowded West, some fans had been garnered around the small indie band. However, it wasn't until The Moon and Antarctica that the band began breaking out into mainstream success. It was their first record with a major record label, and it was well promoted, which is why it really helped them move towards bigger audiences. In 2006, the lineup started changing for the first time. Johnny Marr, formerly of the Smiths, was tacked onto the roster, as well as Joe Plummer and Tom Peloso. These gentlemen were recruited for the recording of We Were Dead Before The Ship Even Sank in 2007, an impressive follow-up to the band's 2004 masterpiece, Good News For People Who Love Bad News. They took three years to enjoy the success of Good News, and also to work and evolve musically. We Were Dead didn't disappoint fans, since such care was taken with the record to ensure a second genuine success. The band has since released a B-sides EP titled No One's First and You're Next in 2009, and are in the process of recording a new album, so we'll see from them soon. 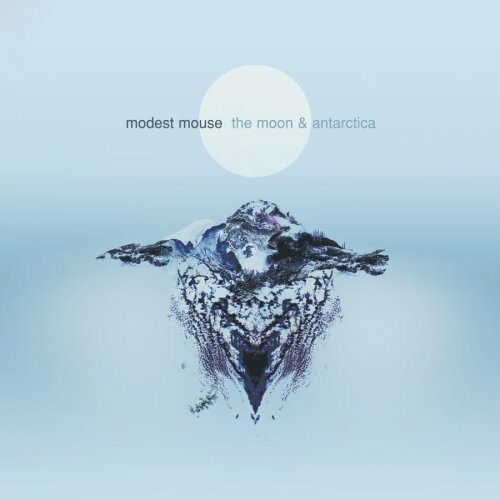 As I said before, The Moon And Antarctica really helped Modest Mouse achieve their first major successes with audiences that weren't already loyal fans. It's a neat listen, because it's a transitional album between the band's true, underground past, and the well-known, indie rock band many people know Modest Mouse as today. Tracks like "3rd Planet" and "I Came As A Rat" help show of a little more of the former, while just about any Modest Mouse fan of today could rock out and have fun to "A Different City". It's a well-written and enjoyable record, and I think it's a good start for any new listeners out there. Look out for news on their website, and go ahead and sample their music on MySpace.